We are now building the CMS platform for Zuccala Homes. Initially we were going to go with WordPress but turns out that WordPress is not very suitable because it cannot handle the tables and relationships of the database properly. That said however, we are doing another project where WordPress is the perfect solution for the CMS. As such we built a custom CMS fro Zuccala Homes.This allows them to upload images, upload brochures, connect house designs to their house and land packages. 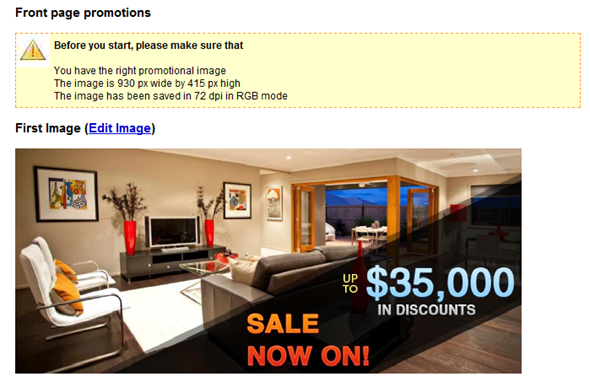 We have also built all the image templates in Photoshop which they can now use to build promotions etc. themselves. The image is a very draft stage of the CMS which is being finalised right now. We are setting up the CMS in a way that allows Zuccala Homes to make changes to most parts of the website so that they can cut down on maintenance costs of the website and use that budget on marketing to drive more visitors to the websites.